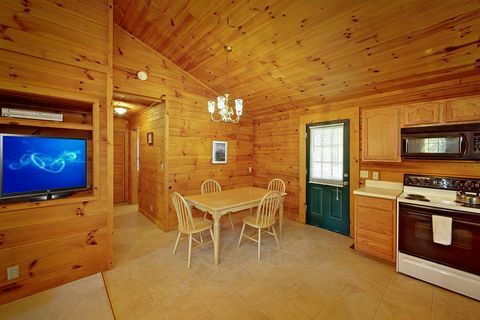 "A Smoky Hideaway," an affordable 1-bedroom cabin rental near the Great Smoky Mountains National Park, gives guests an opportunity for the perfect inexpensive getaway, all within 5 minutes from Dollywood and Downtown Pigeon Forge! 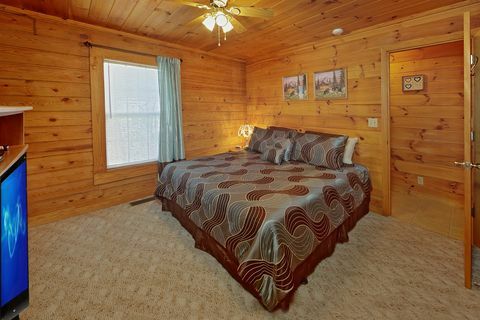 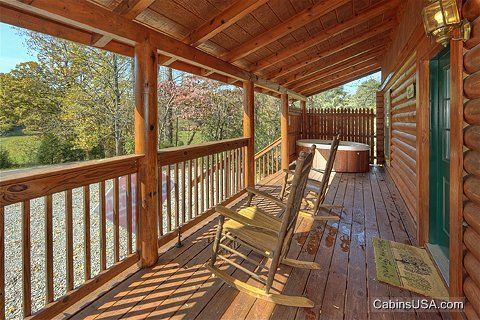 Start your affordable Smokies vacation in this cozy 1-bedroom honeymoon cabin perfectly suited for romantic weekends or extended vacations. 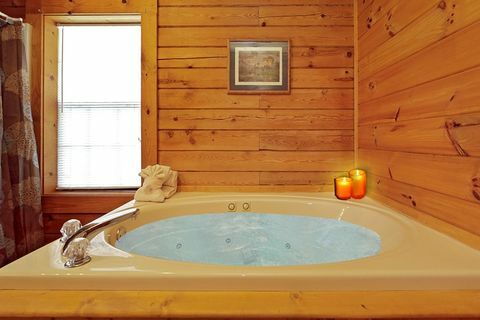 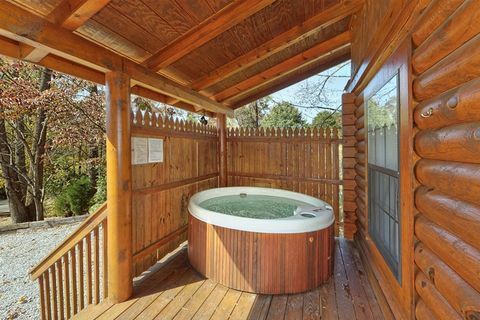 Take a relaxing dip in your cabin's hot tub or stay indoors in the jacuzzi tub than watch your favorite DVD from the comfortable king size bed. 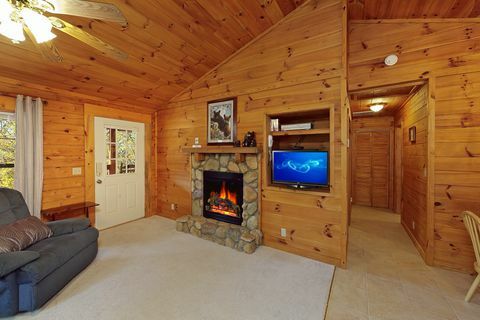 Need to keep in touch back home? 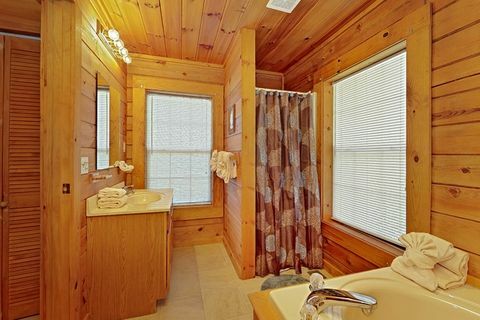 Share photos and keep touch with friends in this cabin with WiFi Internet access. 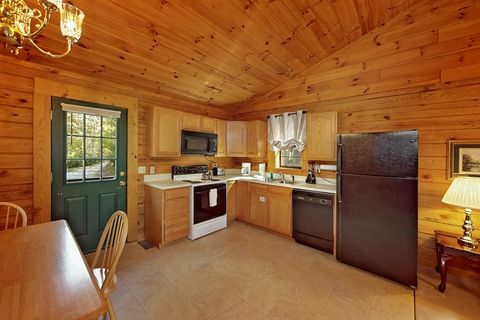 Prepare delightful meals in the kitchen or on the charcoal grill. 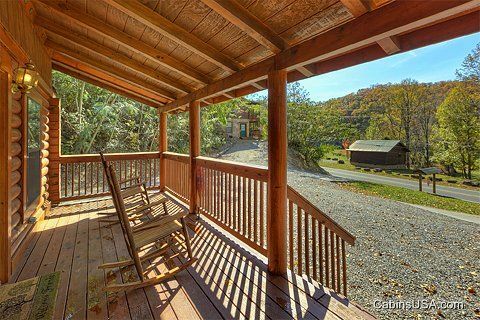 Watch the sunsets from the comfort of the cabin's rockers on the cabin's covered porch. 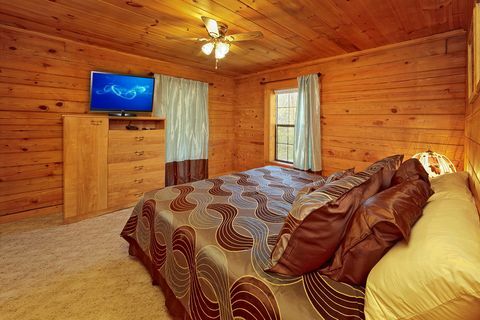 If you want to share your Smoky Mountain vacation with a group of friends and family, "A Smoky Hideaway" is located within walking distance of "A Romantic Retreat," "A Peaceful Getaway," and "A Mountain Escape." 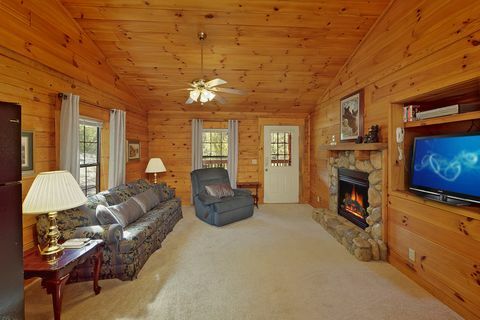 Start planning a tranquil mountain retreat today! 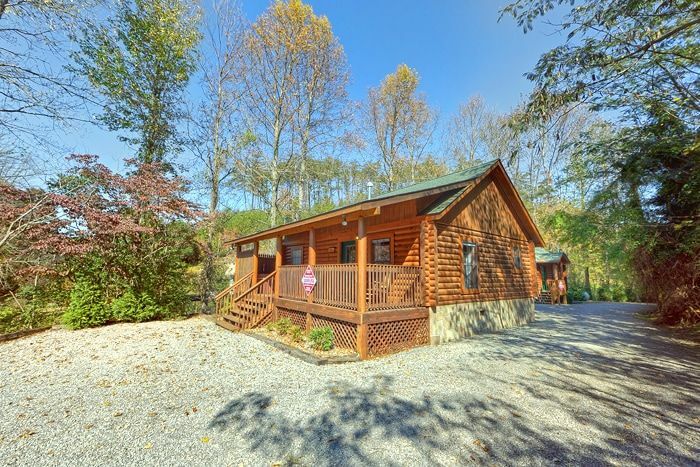 BOOK this affordable 1-bedroom cabin rental near the Great Smoky Mountains National Park ONLINE for immediate SAVINGS!